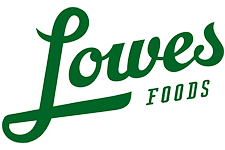 Here are the deals that start 3/27 at Lowes Foods. There is a great Kraft promotion where you can get $5 off automatically when you buy (10) participating items. Note: I made some updates to site last weekend, which cause the shopping list to stop working for some users. You can learn how to fix the issue here. $5 off wyb (10) Participating Items. Prices already reflect additional savings. Russet Potatoes, 10 lb bag, $2.97 ea. Navel Oranges, 4 lb bag, $3.99 ea.